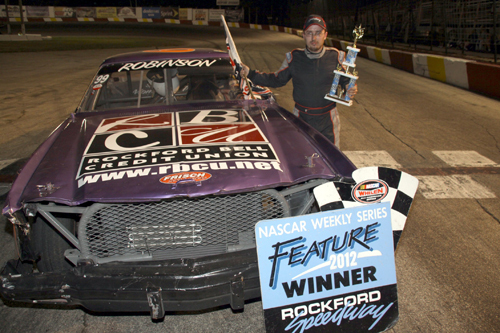 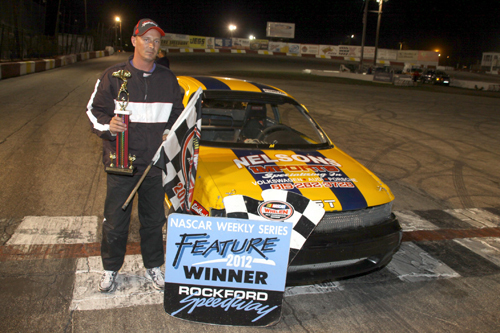 RoadRunner Challenge winner #72 Arlyn Roush, Woodstock, IL. 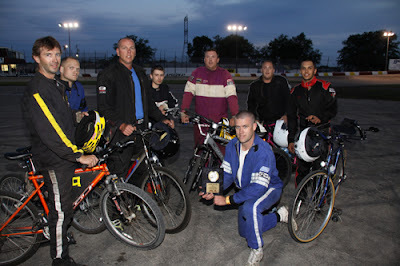 Mishaps between drivers happen even when they ride (race) bikes in the RoadRunner Challenge. 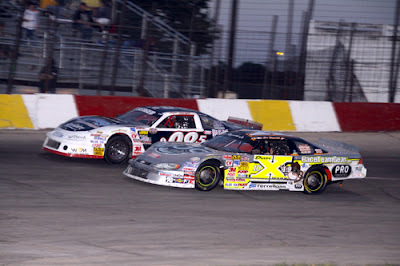 Racing action in the Stanley Steemer Late Model divison saw Driver "X" Jon Reynolds and Matt Berger #98.5 battle side by side for several laps. 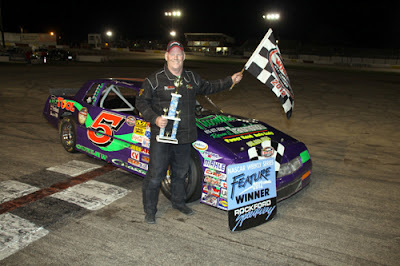 Veteran driver Doug Bennett #5 Brodhead, WI, showed his winning form as he powered his was to victory in the 25-lap feature event for the Bargain Hunters Sportsman dvision. 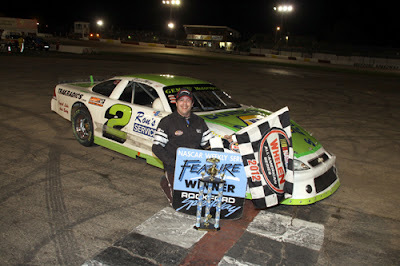 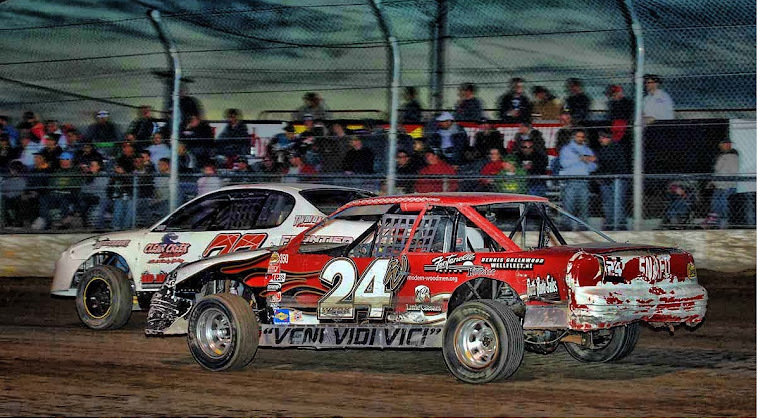 Eddie May #2 Crystal Lake, IL won his third feature of his 2012 season in the Stanley Steemer NASCAR Late Models. 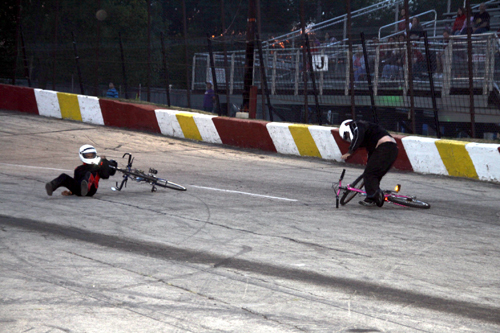 Terrance Robinson # 99 Beloit, WI made a late race charge to the front to capture his feature event in the Rockstar RoadRunner 20-lap main event. Feature winner Klint Egelhoff # 79 took home the hardware in the Crap Scrappers Hornets division main event.